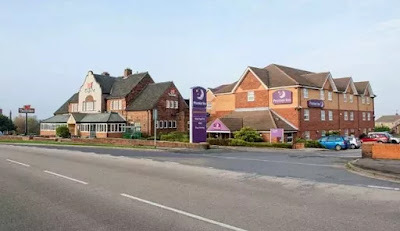 A planning application has been submitted for an extension to the existing Premier Inn hotel in Rotherham to provide an extra 21 bedrooms. Part of Whitbread plc, Premier Inn is the UK's biggest hotel brand. With 700 hotels in the UK and 59,000 rooms, the company's ambition is to have 85,000 rooms by 2020. The site at Brecks includes the existing Premier Inn Hotel and Beefeater restaurant with landscaping and car parking spaces. The hotel provides 67 bedrooms and the restaurant provides 144 seats for customers. The hotel dates back to 1991 and in 2006 the Council approved planning permission for the development of a three storey extension to the original premises. Now plans are back on the table. Drawn up by Walshingham Planning they propose the construction of a new three storey extension to the existing main block on an area comprising car parking in the eastern part of the site. The materials and style of the extension proposed will replicate the existing hotel and boost the total number of rooms to 88. The plans state: "Whitbread has recognised a requirement for additional rooms in the area. The existing hotel is one of the group's best performing facilities in the region, as measured by occupancy and turn-away data. "The provision of additional visitor accommodation at this brownfield site will therefore substantially improve the quality and offer of the town's visitor economy, for which there is an identified demand. "The proposed extension will create new jobs, both during the construction phase and in the form of additional hotel/restaurant staff in reception, room maintenance, building maintenance and security that would be required as a result of a net additional 21 bedrooms at the site." For the 2015 / 16 financial year, revenue for Whitbread's hotel and restaurant business was up 9.8% to £1.8 billion. Premier Inn grew total sales by 12.9% to £1.2 billion, with like for like sales growth of 4.2% as the group invested £165m on refurbishments and hotel enhancements. Plans for a £9m 80-bed Premier hotel and restaurant at Templeborough were recommended to be refused by the council's planning board in 2012, in a bid to protect Rotherham town centre.